Hong Kong has many different types of restaurants, and it’s known to be the culinary capital of Asia. There’s cheap eats at convenience stores, all you can eat (AYCE) barbecue or buffet, street food, bakeries, and cha chaan tengs. There’s also American, European, Mediterranean, Middle Eastern, African, Southeast Asian, and all sorts of other Asian food! 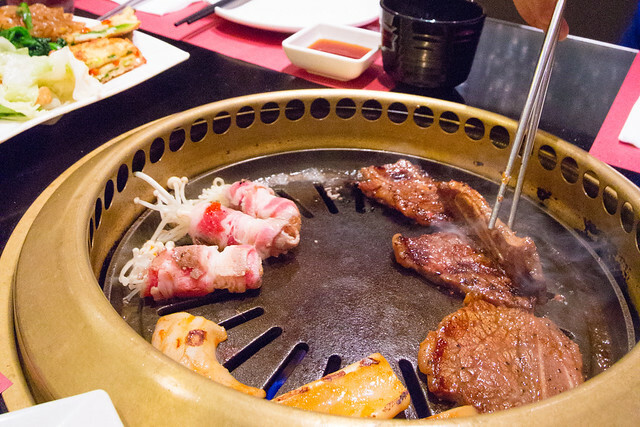 Hong Kong’s food is predominantly imported, so meat (especially beef) tends to be on the pricier side. My friends and I had AYCE Korean barbecue for dinner at Hon Wo Korean Restaurant (漢和韓國料理) in Tsuen Wan. Hon Wo is a restaurant chain, with three other locations in Causeway Bay, Mong Kok, and Kwun Tong. Hong Kong is highly populated, so restaurants usually have a high influx of customers around the clock, especially if it’s popular. AYCE restaurants usually have a time limit of ~2 hours. You also know right away when a particular food item in a AYCE restaurant is really good, when someone keeps getting it and only that! We got several plateful of raw foods and cooked it on our bbq table. 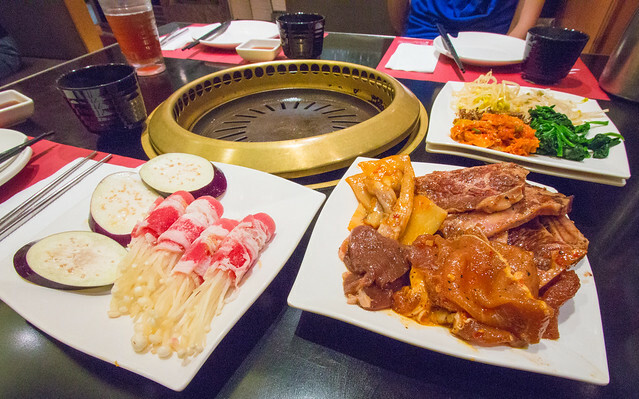 We also had an assortment of side dishes (banchan), seafood pancake, japchae, and some cooked Chinese vegetables such as bok-choy and cabbage. 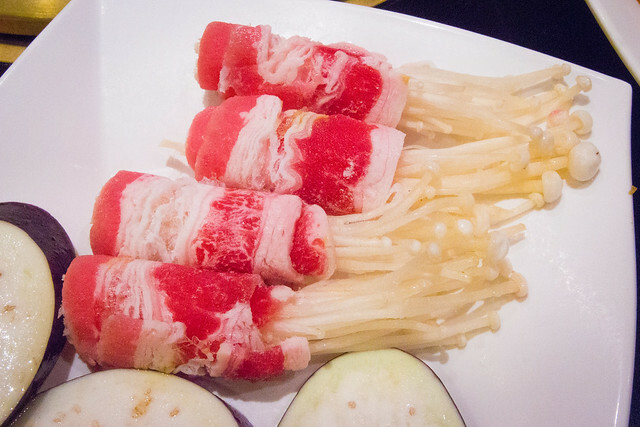 There were also sushi, sashimi, Chinese desserts, soup, and tong sui (Chinese dessert soup). 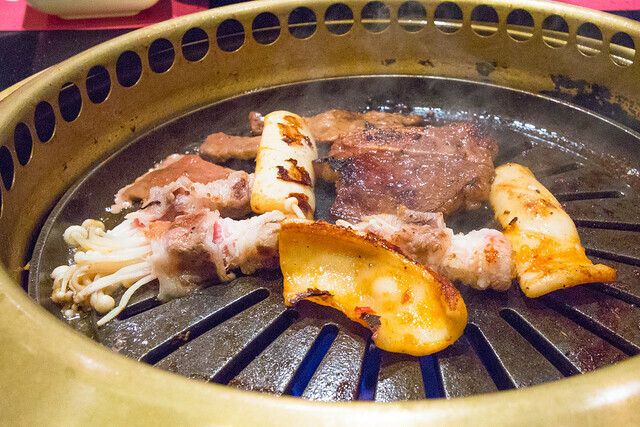 Ultimately, Hon Wo’s strength is in their barbecue and banchan. Our dinner tab came down to $168 HKD per person. Hon Wo is also open at lunch for $108 HKD but with fewer meat choices (no short ribs).